At first Equations of Life is like stumbling into a spy thriller bristling with guns, gangs, and quirky characters with secret identities. This near-future story is set in a squalid London Metrozone that's gone bad after a worldwide crisis known as Armageddon. Hard men abound, and even the nuns are armed to the teeth in order to survive. However a closer look at the main character, Samuil Petrovich, turns these first impressions on their head. He talks tough and keeps a low profile, but he turns out to have more in common with Sheldon from The Big Band Theory than a tough nut agent like Jason Bourne. He's a talented physicist working on a Grand Unifying Theory, although he's also very young. But he won't get to publish his findings if his heart keeps playing up, and his pacemaker has been acting very buggy of late. So when Petrovich spots a woman about to be kidnapped in a crowded street he knows he's badly suited to playing the hero. He knows he should walk away. But instead he tries to save her, even though it means risking his life by getting shot at by heavies who can outrun him. Petrovich's impulsive act draws him into a world of warring gangs fighting for control of a crumbling, overcrowded city. Oshicora, the leader of a Yakuza-style organisation, is grateful for the young man's help. But a slavic gang leader, Marchenkho, is furious about having his plot foiled. Detective Inspector Henry Chain wants to question Petrovich, but in this post-apocalyptic version of London the police aren't all they should be, and the physicist doesn't entirely trust them. Petrovich's days of writing equations in safe anonymity are about to come to an abrupt end as he becomes a hunted man. But there's worse to come as automated systems start to go haywire all over the city and a sustained cyber attack brings communications crashing down. Petrovich is the kind of character who is fascinating to read about, but who you wouldn't necessarily want to meet. He's fearless and socially inept, and inclined to give people a piece of his brilliant mind with no regard for his own safety. He gets excited about esoteric mathematics and talks in Russian when he's angry. There's no translation in case you're not fluent, although it's not hard to guess the meaning of his words from the context. As the story progresses more factions are added to the mix, and the pace gets ever more frenetic. Petrovich tries desperately to figure out who is behind all the chaos and what he can do about it. The stakes get ever higher as he comes to realise that the fate of the whole city depends on him. Chases, mad machines, shoot-outs and gore: it's extremely fast and furious, and it's perhaps even too frenzied as the novel approaches its climax. Like a Michael Bay film it has action coming out of its ears, but it comes at the expense of character development and narrative depth. 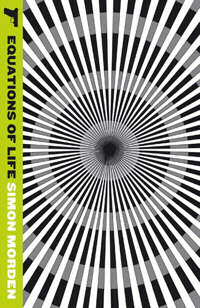 Considering the main character's work, his shady past, and his growing friendship with a warlike nun, Equations of Life has more scope for delving into science, religion and ethics than it makes use of. It's a breathless near-future thriller with an unrealistic body count and a sympathetic central character, but it's not quite as scientific as the title implies. Parrish Plessis sets out to take down the media in a future Australia where the gulf between rich and poor is vast. 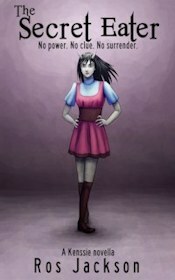 This is the third book in the series.